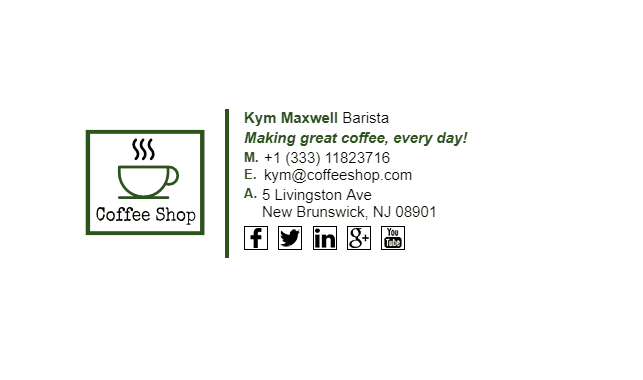 Making a good coffee is a skill that has come a long way since the first cup of coffee was sipped. 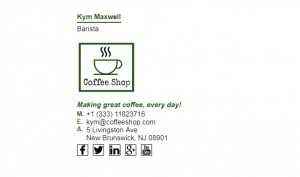 Baristas are an important asset in a coffee shop or a place that makes coffee. 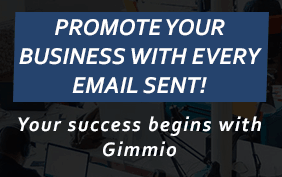 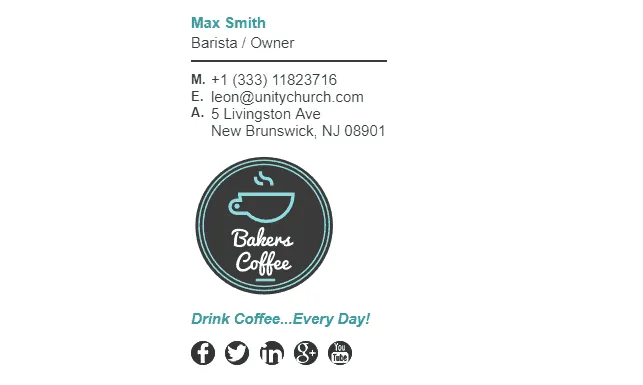 A baristas email signature should have awards that have been won and also any industry standards that they meet, as well as safety certificates. 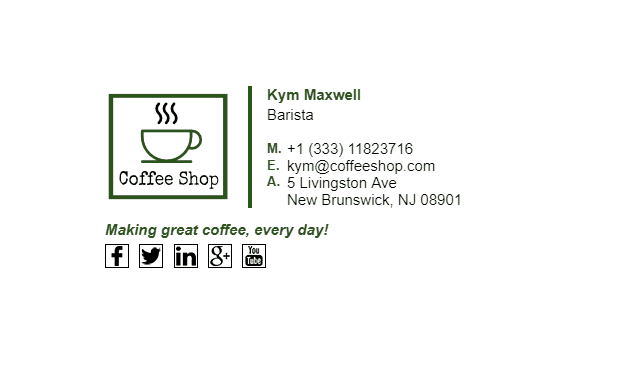 This helps give confidence to any customers considering your coffee shop. 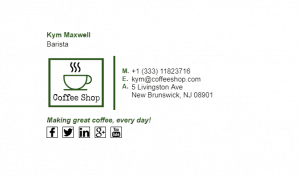 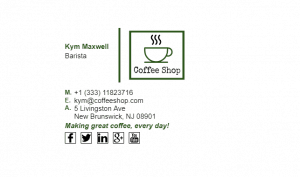 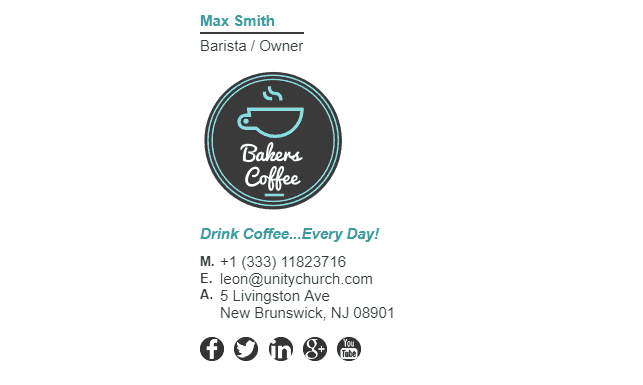 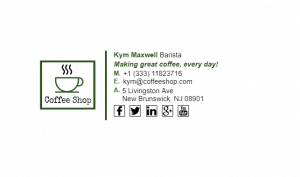 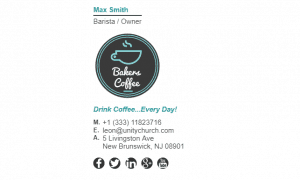 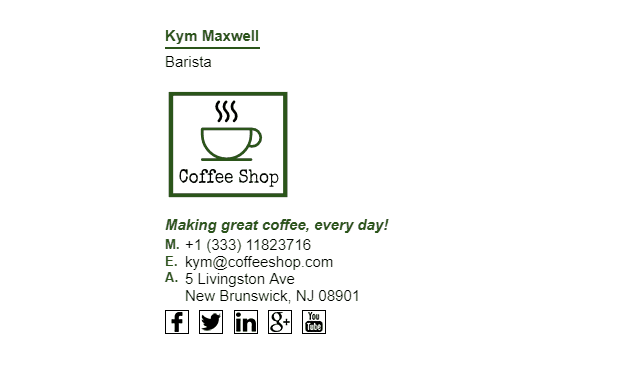 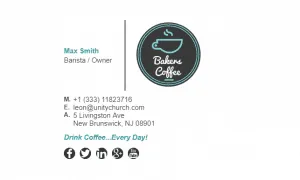 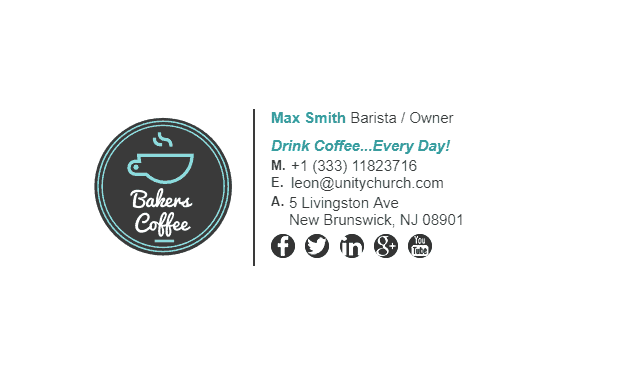 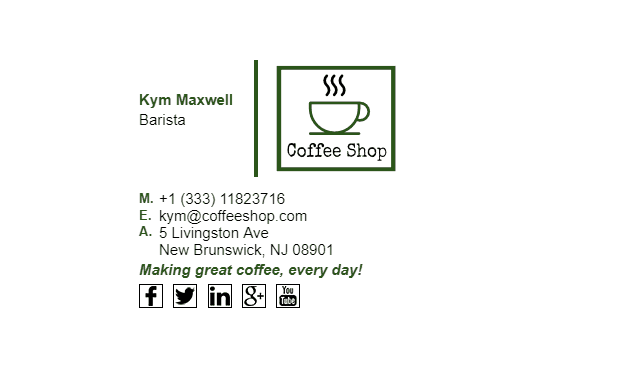 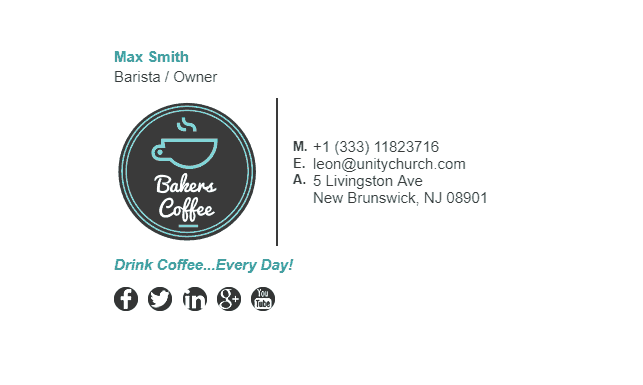 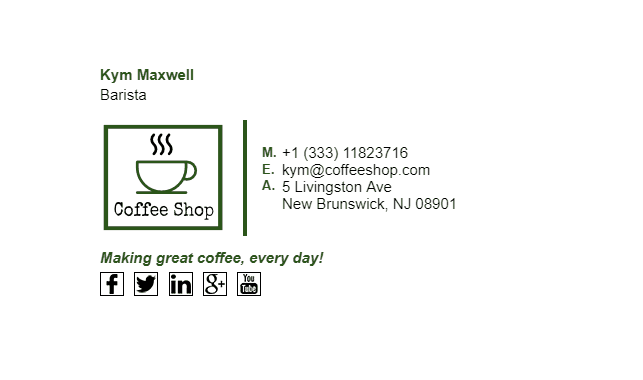 Check out our barista email signature examples below. 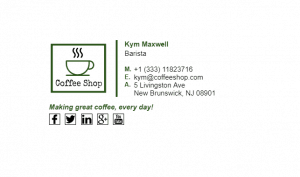 What Should Be Included in a Baristas Email Signature?